The opportunity to pursue a postgraduate degree offered in collaboration with an award-winning entrepreneurial university in the UK has been extended to more learners in Malaysia. INTI’s popular Master of Business Administration (MBA), offered in partnership with the University of Hertfordshire (UH), UK, is now available at INTI’s campuses in Nilai, Penang and Kuching. Plans are being finalized to offer the programme in Subang Jaya for the August 2012 intake. UH was recently selected as one of the world’s top 100 universities aged under 50 by Times Higher Education (THE) in a new addition to its World University Rankings portfolio. Out of worldwide universities founded after 1962, the University is ranked at number 62 above many renowned institutions. The rankings are based on excellence across teaching, research, citations, industry income and international outlook. UH scored highly for the citing of its academic research on a global scale and for its international outlook and mix. Out of the 20 universities in the UK that are mentioned in the rankings, UH ranks in the top 12 making it the only new university in 19 years to have appeared in 3 world rankings. Project and problem-based learning will drive the development of vital business and leadership skills for the MBA student, says Professor Dr Wilson Tay. Specifically designed to hone skills and enhance knowledge in business management for successful career development, the INTI MBA helps students develop a portfolio of key management competencies including strategic financial, marketing and system analysis and decision making through an appreciation of global business challenges. “The programme applies project and problem-based learning approaches that will expose students to simulated and real business problems and environments. 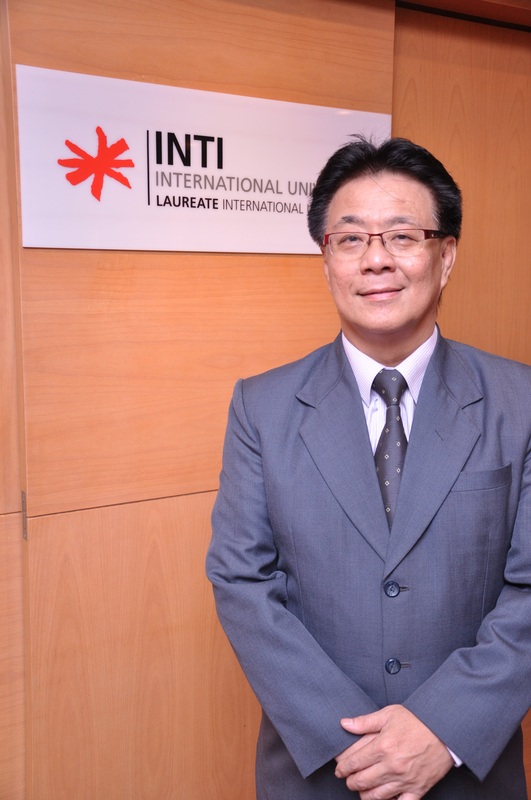 Students completing the MBA at INTI can expect to succeed in a range of careers that demand excellent academic ability, coupled with strengths in leadership, collaboration, communication, presentation and project management,” said Professor Dr Wilson Tay, Dean of Faculty of Business, Communication and Law, INTI International University. Through this dual award programme, graduates will receive both the MBA from INTI International University and the Master of Arts in Management Studies from the University of Hertfordshire. The programme can be completed on a full-time or part-time basis and is open to holders of professional qualifications as well as those who have successfully completed an honours degree. INTI offers a blended learning approach that applies revolutionary tools to help different types of learners assimilate to course material and engage with the faculty and student peers better. Blackboard Learn technology will deliver a highly accessible, user-focused learning platform that is engaging and intuitive for all users — in and out of the classroom. It will enable students to access course material, lecture notes, assignments and tutorials from the platform and collaborate with one another in their assignments and discussions. In addition to lectures, instructors will apply a variety of interesting teaching and assessment methods such as the use of video, simulations, wikis, blogs and discussion threads to engage students. Online technology, coupled with good teaching practices will enhance the overall learning experience which in turn will boost students’ academic achievement. Learning becomes more meaningful and engaging, is technology immersed, task oriented and collaborative, mimicking a real work experience. Students of INTI benefit not only from the institution’s over 25 years of experience and strong track-record, but also gain from the global synergy and resources that Laureate International Universities provides. Laureate is the world’s largest private education network with a presence in 29 countries, with more than 60 accredited universities and 130 campuses, serving more than 700,000 students globally. For more information on the INTI MBA programme, call 06-7982000 / 03-5623 2800 / 04-6310138 / 082-570888.